Chris & I try to do date night every weekend. What started out as a New Years resolution to get out of the house more on weekends (I have a tendency of getting into major ruts), morphed into a weekly outing just the two of us. We switch off planning, and try to surprise each other with the night's activities. Since surprises just make everything better! For this particular date night, Chris told me I needed to get fancy. You don't have to ask me twice...I love getting dressed up! We drove into downtown Phoenix, and I didn't have the slightest clue where we were headed. Eventually we parked at the Hyatt, and I still didn't know where we were going! 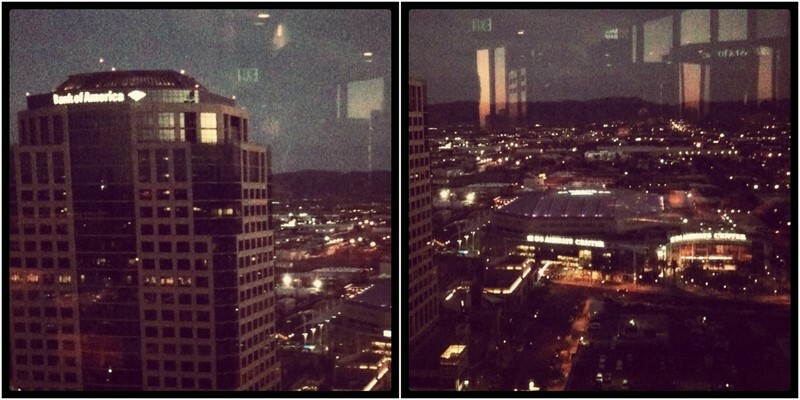 We hoped into the elevator, and traveled 24 floors up to the top to the Compass Arizona Grill. I was completely shocked. The restaurant is beautiful, the views are even better, and it spins! Well, not exactly spins, more rotates as to not make the guests completely loopy. Even after 17 years of living in Seattle, and plenty of visits since moving to Phoenix, I've never been to the top of the Space Needle. There's a very similar restaurant up there, and it was awesome to experience it for the first time. The view from our table was incredible. That night I was seeeriously spoiled, and had such an amazing time. We ordered the Warm Brie appetizer to start, and a bottle of phenomenal Italian wine. I ordered the Jumbo Sea Scallops with Garlic Mashed Potatoes, and Chris ordered a New York Steak. The fanciest part? Our waiter brought out a board of steak knives of different sizes with all different handles, and we got to choose which one we wanted to use for dinner. Amazed. I almost spoiled my dinner (ha! yeah right) with the best Chile Corn Bread and Honey Butter I've ever had. In the end I was so full, a little tipsy (we had an ENTIRE bottle of wine to finish, give me a break), and so very in love. It was mushy and I loved it. 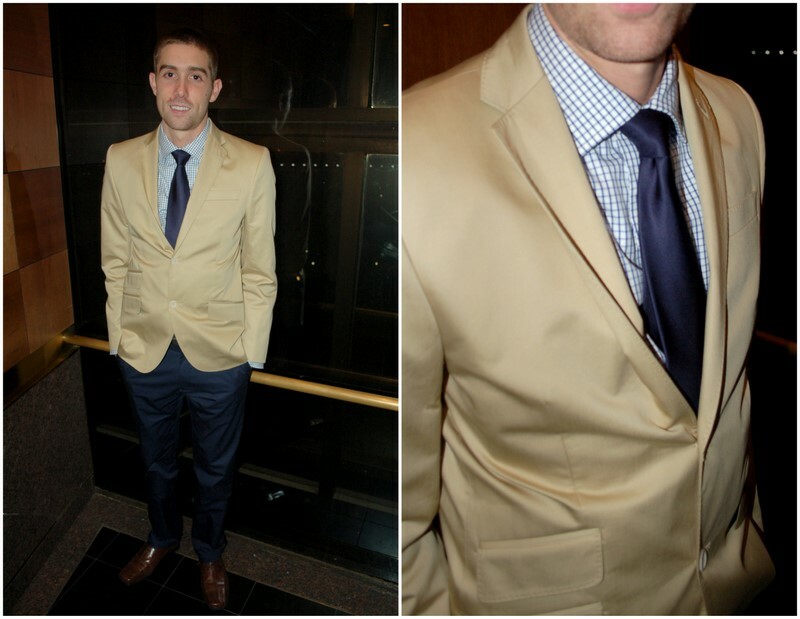 And now I leave you with a different kind of outfit post, Chris! What a great looking couple! I love that you two take turns and actually plan something instead of just "well what should we eat tonight". My husband and I need to get better at that. Thanks for the inspiration! Haha thank you Bri! I love it, it's always fun to see what Chris comes up with for the evening! Thanks Kristianne! It was so beautiful up there, made me feel special:) I love how dressing up will do that!